A small city that is relatively central in its location within southern England, Oxford is a place that is distinguished by its world-renowned university. Although the university has aided growth in many aspects, Oxford has much more to it, and due to its popularity there is a thriving property market. The strength of the market is demonstrated by the relatively high prices in the area. At My Home Move Conveyancing we have been developing our knowledge of the local market since 2002, to offer you a conveyancing service tailored to your needs. If you are looking to buy or sell property in Oxford, you must instruct a lawyer to complete the legal work on your behalf. 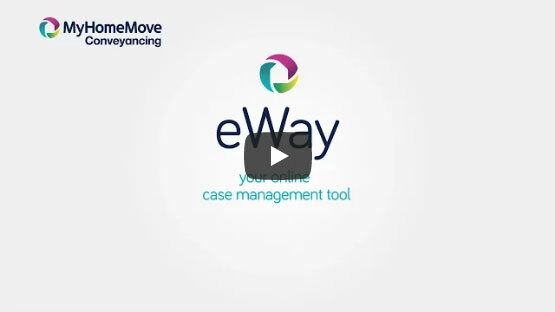 Let My Home Move Conveyancing carry out this work and make the most of our award winning customer service, innovative use of technology and expertise of the local area. We offer a fixed fee conveyancing service with no hidden costs, meaning you’ll know exactly how much you’ll be paying from the outset. If for some reason you don’t end up moving, you won’t pay us a penny in legal costs. We will assign you a dedicated conveyancer who will take care of your case from start to finish, providing you with a consistent point of contact and regular updates on your progress. At My Home Move Conveyancing we are proud to supply our conveyancing services across the Oxford area, from the cosmopolitan East Oxford area to the family suburb of Botley, bohemian Jericho and affluent Summertown. The average house price in Oxfordshire is £297,978, while during the past year the overall average sale price of properties in Oxford itself was significantly higher than this at £468,907. Terraces were the most popular property type with an average sale price of £427,463, while semi-detached properties were next at an average of £529,356. Flats fetched an average of £298,053 and detached properties £763,305. There is little denying that the university is a dominating presence in Oxford, boasting a heritage that dates back to the 12th century and an esteemed worldwide reputation. Many of the colleges are open to the public, while the city is teeming with notable university buildings such as the Oxford University Press and the Bodleian Library. Whether taking a stroll through the swathes of green spaces, a punt down the river or meandering through one of the world’s oldest museums, the Ashmolean, there’s plenty to discover in Oxford. The city boasts a strong location within southern England, lying in between London and Birmingham. The M40 motorway passes to the east of the centre and links these two major cities, while the A34 heads down towards the south coast and Southampton. The capital can be reached in under an hour by train, and it’s a similar length drive to Heathrow Airport, although London Oxford Airport is one of the UK’s busiest for business aviation. In addition to the University of Oxford the city is also home to Oxford Brookes University, which became the world’s first Fairtrade University in 2003. Families with younger children have a number of excellent schools to choose from, with primary options including Horspath C of E and Windmill Primary, and the Cherwell School and Rye St Anthony among the secondary options. City is partly parished. Figures are for unparished areas.